As I was deciding on what I wanted to make I thought about what I think of when I think of a cozy home. One of the things that immediately came to mind was soft, comfy blankets. I also knew that I wanted to use soft neutral colors. 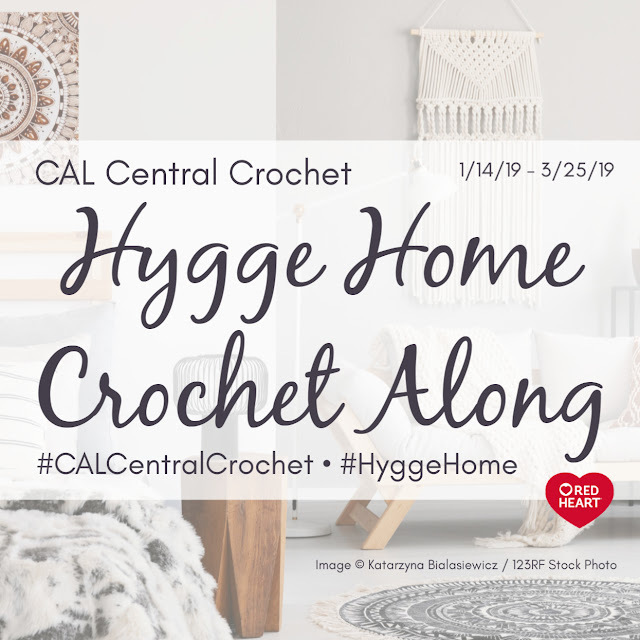 Red Heart supplied the yarn for this crochet along and I thought their Dreamy yarn would be perfect. 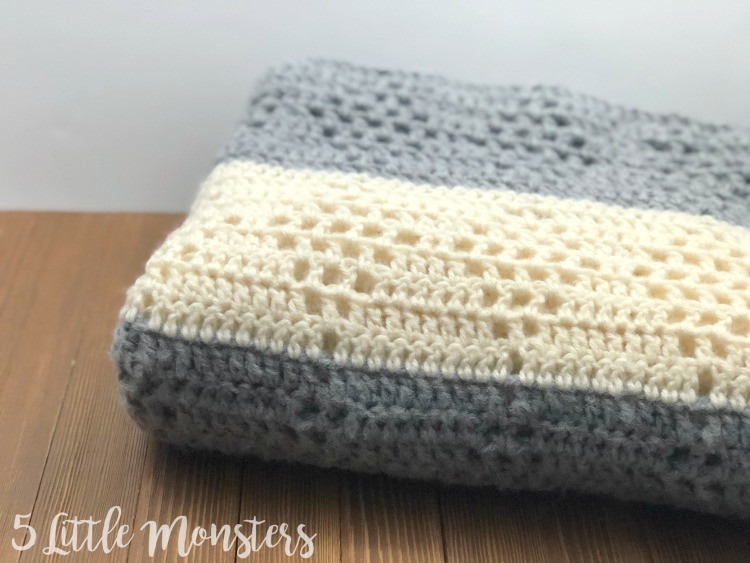 It has a soft brushed effect that I thought would be perfect for a soft cozy throw. 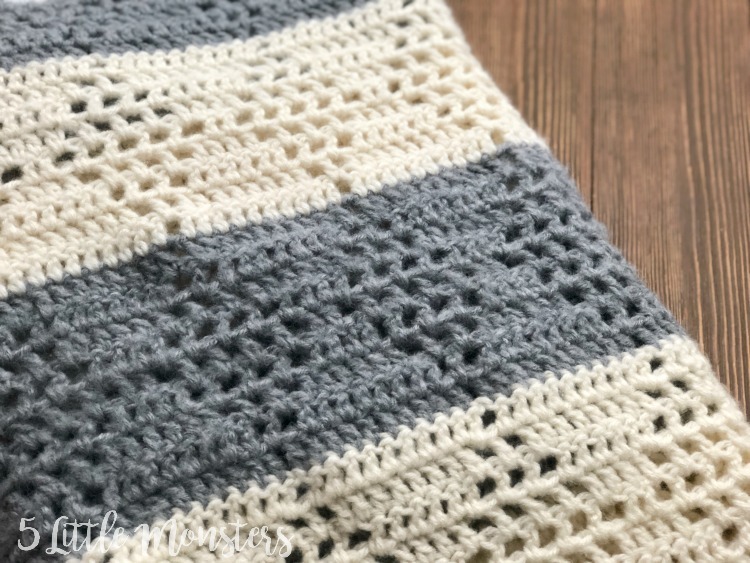 I chose ivory and grey to make a striped throw. 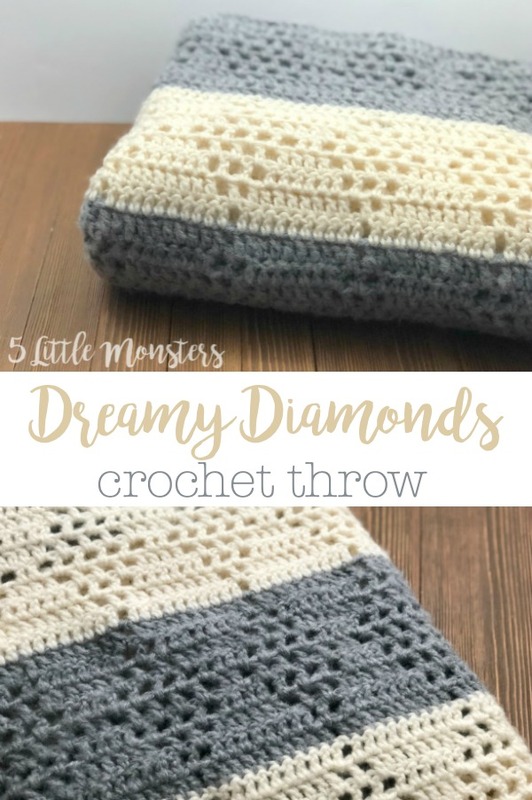 I wanted a simple design so I chose to use double crochet stitches and chain spaces to create a diamond pattern. Each stripe has one repeat of the diamond pattern. Finished size approximately 42" x 50"
I did not work a border around this throw (although there is enough yarn left over that you could if you want). 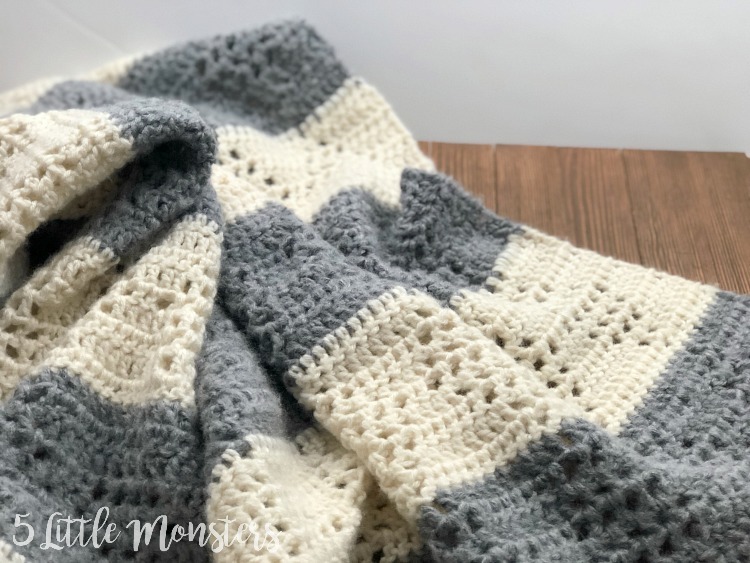 Because I knew this was my plan I wanted to make sure that the edges were nice and neat so I chose to work the first dc in each row using the chainless starting double crochet (click the link to see a tutorial on how to do this). If you prefer you can start each row with a ch 3 instead. Hi, I love this pattern. 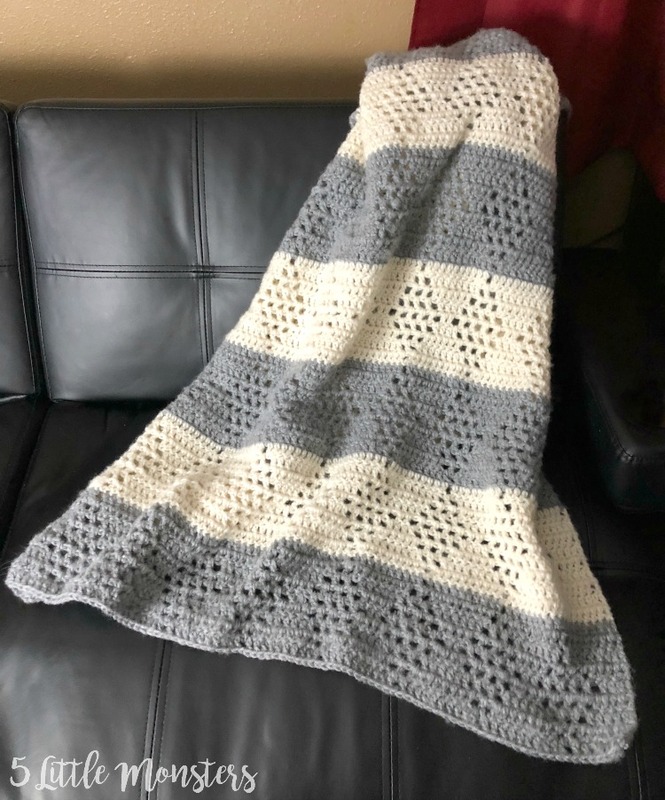 Looked for it on Ravelry but could not find it. Is there/will there be a project there? Thank you! 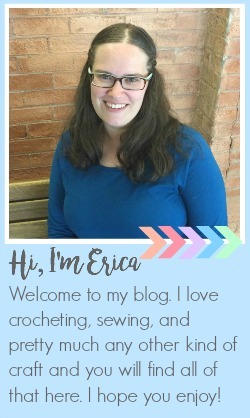 I just went and added it to Ravelry so you should be able to find it there now.